Notes: The Welsh Book of Remembrance was created as a Roll of Honour to accompany the unveiling of the Welsh National War Memorial in Cathays Park, Cardiff, in 1928. 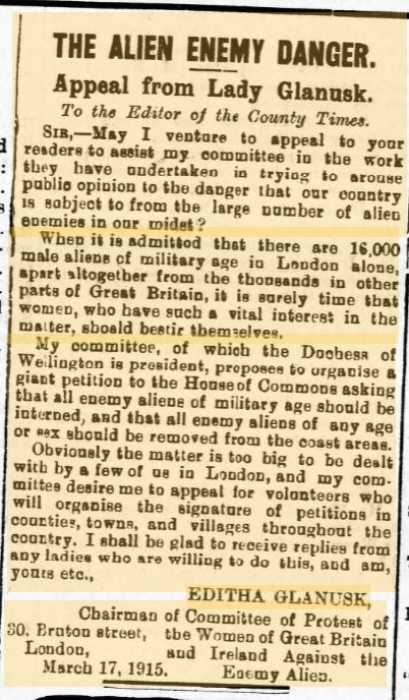 It is an attempt to list all those ‘Men and Women of Welsh Blood or Parentage … Who Gave Their Lives in the War 1914 – 1918’. Before the opening of the Temple of Peace in 1938 the book was on display in the National Museum. 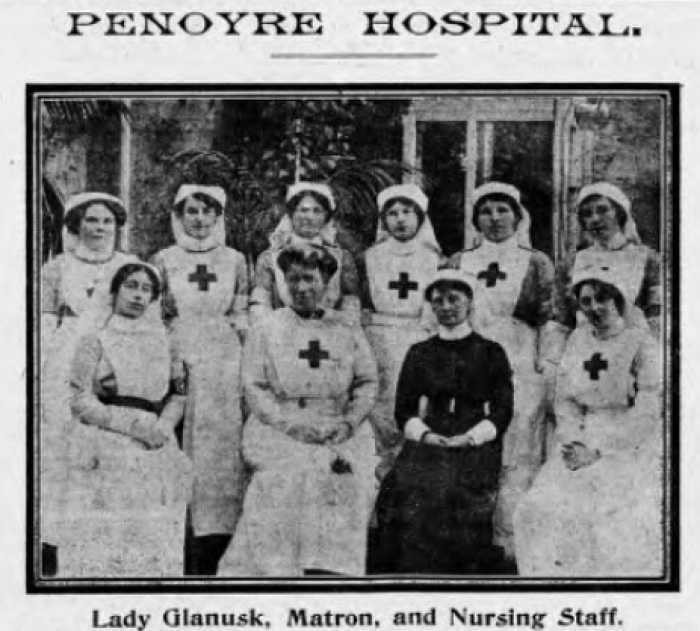 A number of women are included: the stewardesses Hannah Owen and Louisa Parry who died when RMS Leinster was torpedoed in 1918; members of QMAAC Gertrude Dyer, Jean Roberts, Mary Elizabeth Smith and Lizzie Dora Stephens; and VADs Gladys Maud Jones, Gwynedd Llewellyn, Amy Curtis, Eva Davies, Margaret M Evans, Lilian Jones, Edith Tonkin, Jenny Williams and Frances Sprake Jones QAIMNS.rnIt is not clear why these particular women were chosen for inclusion. This site has the name of many women who could have been included. 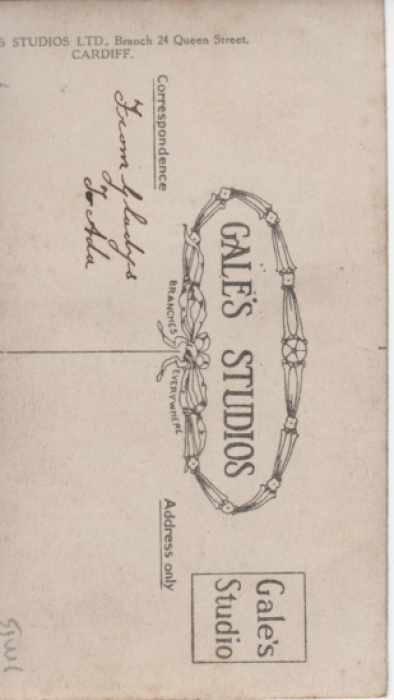 Additionally Gladys Maud Jones and Gwynedd Llewellyn, despite their names, had no recent connection with Wales. 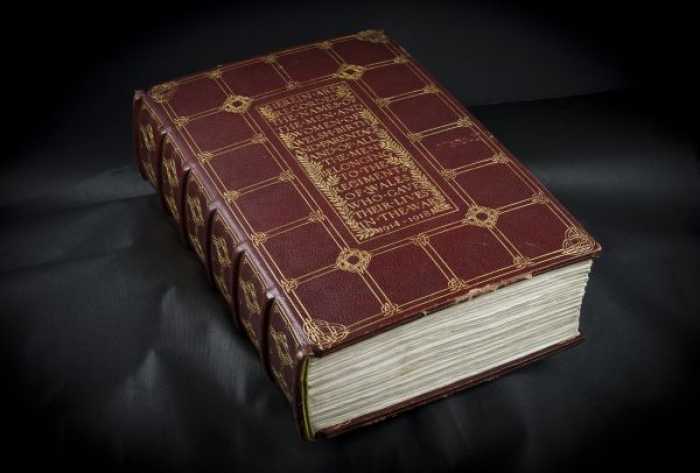 The Welsh Book of Remembrance, containing names of 35,000 service men and women who died during the Great War. 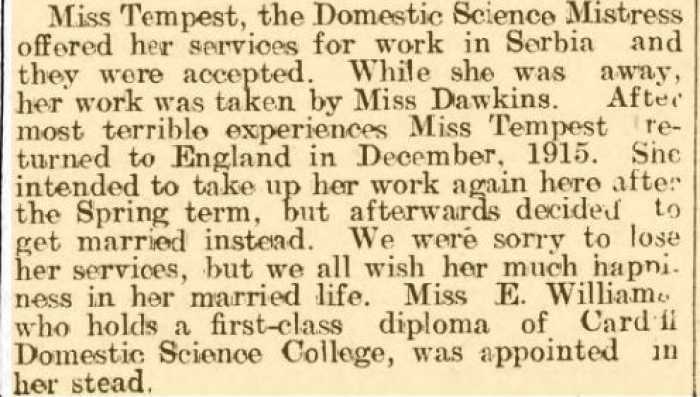 Notes: Nora Tempest, born 1886, was a popular domestic science mistress at Carmarthen County Girls School. 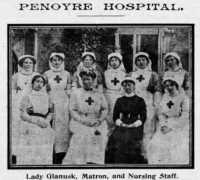 She joined the Scottish Women’s Hospitals to serve as a cook at Kragujevac Hospital. 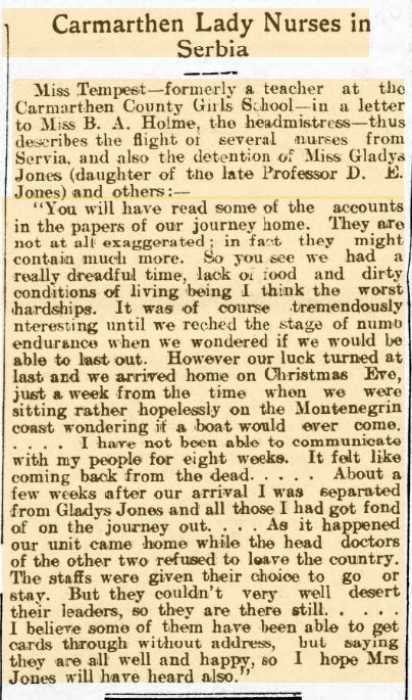 She was caught up in the great retreat after the Austrians invaded Serbia, walking for seven weeks through the mountains of Montenegro and Albania in winter. She arrived home on Christmas Eve, 1915. She is said to have taken many photographs of the retreat. After her return she married and settled back in Ireland. Place of birth: Bridgend ? 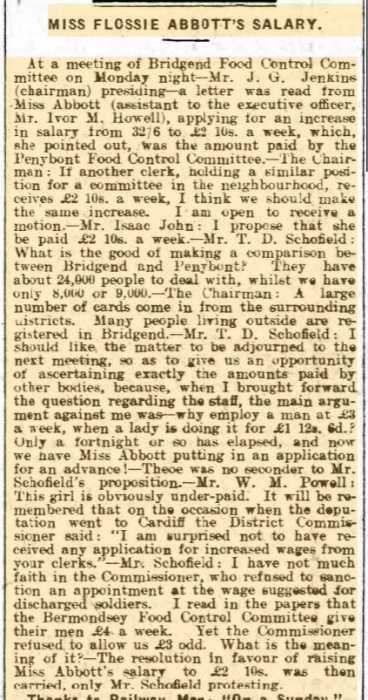 Report of the meeting of the Bridgend Food Committee, where Flossie Abbott’s pay-rise was agreed. 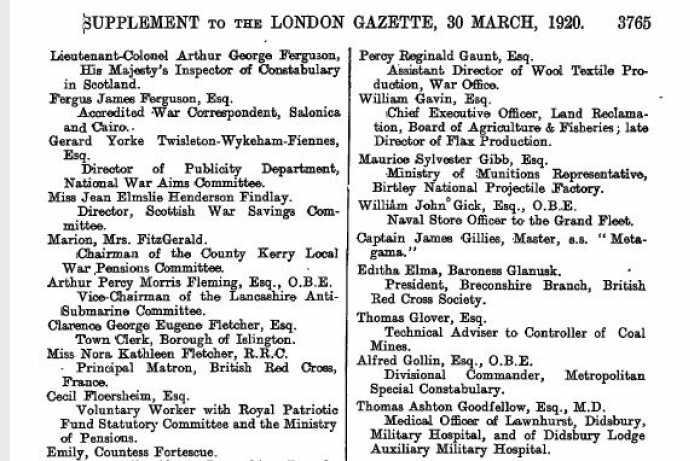 Glamorgan Gazette 17th October 1919. Notes: Helena Adam was a 51 year-old Belgian refugee living with her family near Carmarthen. They arrived from Ostend in November 1914. Her death was caused by fumes from a fire warming their bedroom. The fire was made partly of culm, coal dust mixed with clay and other materials, which was much used at this time owing to the high price of coal. Helena’s husband Jacobus was also affected but later recovered. Another report on the inquest on Helena Susanna Adam. 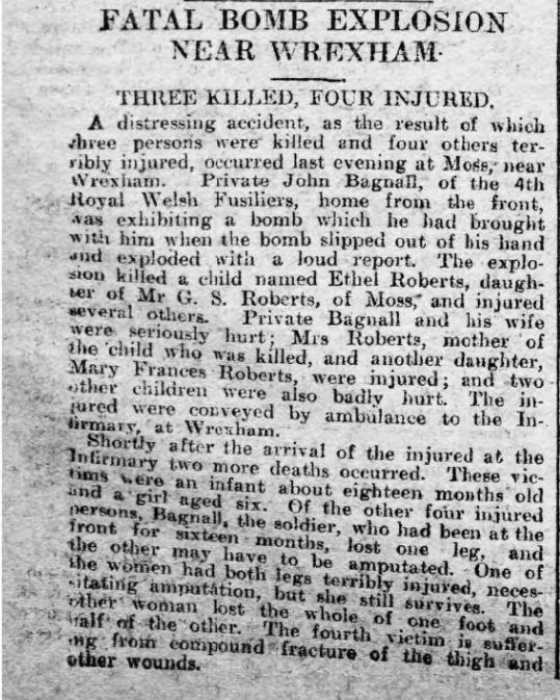 South Wales Weekly Post 11th December 1915. 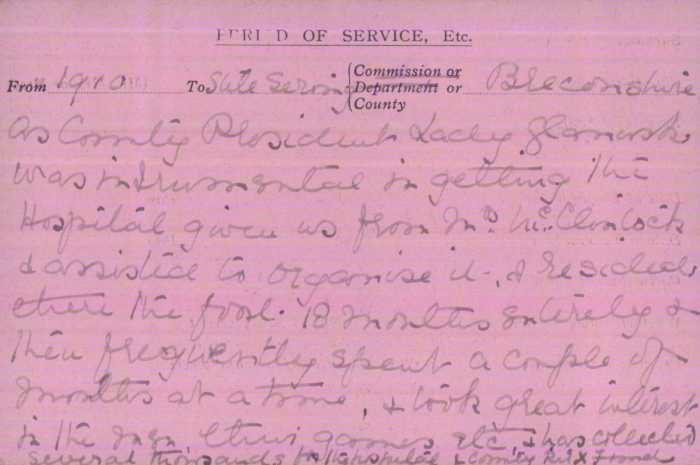 Notes: Mary Andrews was awarded the Royal Red Cross in May 1919. 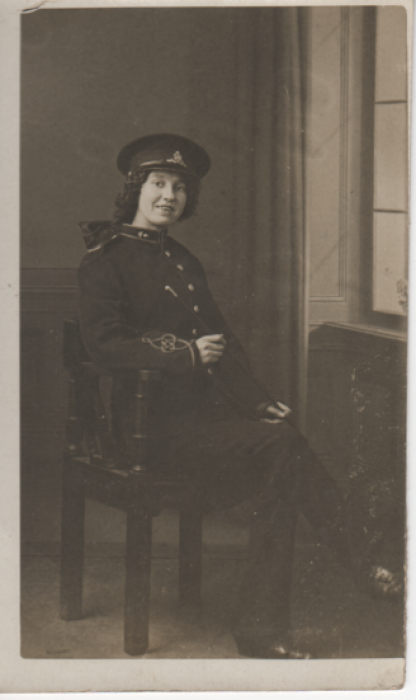 She served at Oswestry Military Hospital. Place of birth: Wrexham ? 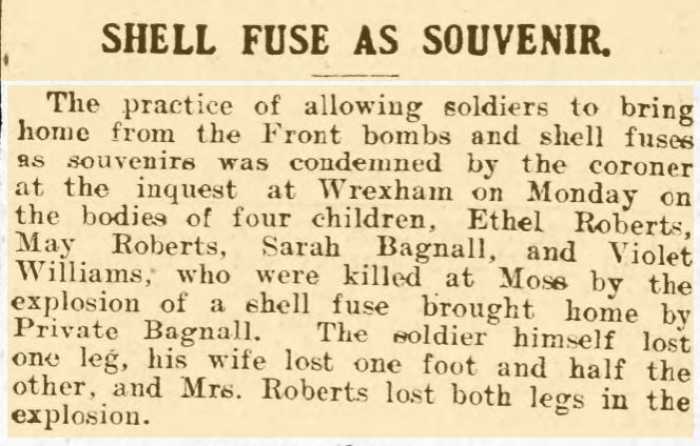 Notes: Mary was one of the victims of the explosion of a shell brought home as a souvenir by her soldier husband John Bagnall. 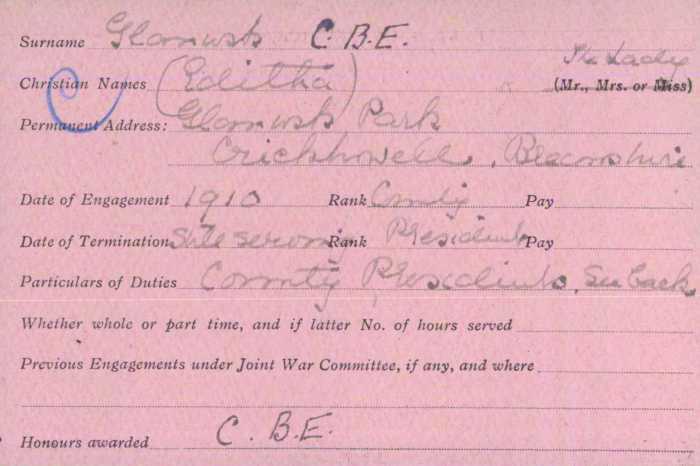 He accidentally dropped it on 9th March 1916 at their home in Moss, Wrexham. 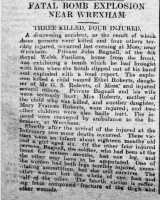 The explosion fatally injured her baby daughter Sarah, and her nieces Violet Williams and Mary Roberts, and killed her niece Ethel Roberts. Mary lost most of both feet, and her husband and sister Sarah Roberts both lost legs. The girls were buried in two graves at Holy Trinity Churchyard, Gwersyllt, where a memorial was erected in March 2016. Report of the explosion giving the names of the victims.